Native Juniper, Blueberry Tree, Boobyalla, water bush, native mangrove. 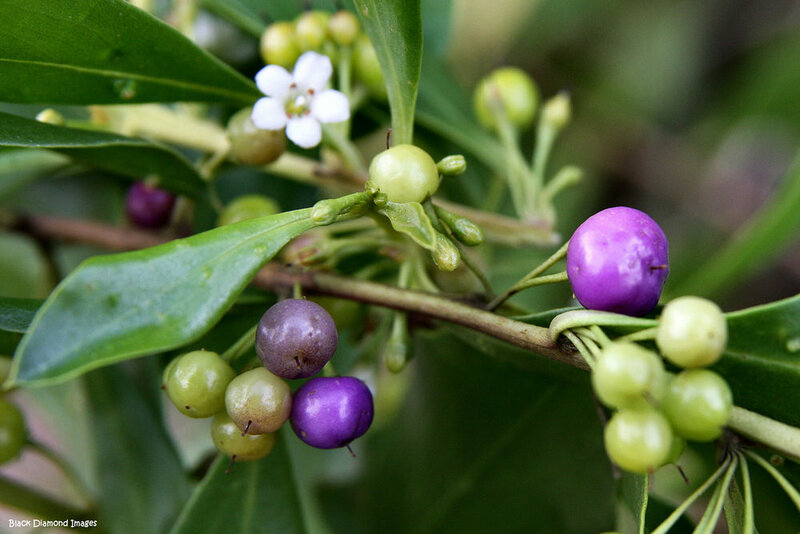 Colonial botanist Joseph Maiden drew attention to the edible fruits, which are inclined to taste bitterly aromatic and salty sweet (Low, 1991). Bitterly aromatic and salty sweet. Great for jams, jellies and preserves. Aromatic, juniper-like qualities makes Boobialla an exciting local botanical for essential oils and gin.